In my dream I was elastic, a big excuse for never acting dumb. Back in the good old of days of 1990, Color Dream Games released Menace Beach for the then popular NES games console from Nintendo. Imagine skateboarding through a side-scrolling 8-bit world filled with balloons, clowns and disgruntled dockworkers in search of your cute pixilated girlfriend Bunny. It’s from this slightly surreal, esoteric world that this Leeds indie rock revolving cast of local luminaries, headed by Ryan Needham and Liza Violet, draw their name. It’s reference acts as the perfect backdrop to their 90’s American underground and pre-Brit Pop indie; melody heavy, supercharged pop that’s always surprising. After the success of their EP ‘Lowtalker’ in early 2014, British indie label favourites Memphis Industries snapped Menace Beach up with the band’s debut album in mind. It comes in the shape of ‘Ratworld’, a twelve song assault, a journey through a psyche tinged wonderland, documenting moving away and waving goodbye to the fractured rubble of an unhappy lifestyle. On the title, Ryan says “We’ve created our own grubby little Ratworld to inhabit. Everything is better when it’s a bit grubby and broken”. It’s that dreamy sensation of taking comfort in chaos, looking around at the perfect mess you’ve created and feeling deeply content as it’s yours and no one else’s. Although Ryan and Liza are the creative core from which the wellspring of inspiration pours from, they’re now joined by Matt Spalding (bass), Nestor Matthews (drums) and Matthew 'MJ' Johnson (guitar). As everyone’s favourite Leeds based producer, MJ sits behind the desk and has been molding the sound in his Suburban Home studios since the start. It’s his keen ear and ability to thread and balance an artist’s sonic themes that is the foundation stone upon which these songs can explode and punch you in the gut. And they do. Over and over again. Opener ‘Come On Give Up’ recalls moments of Pavement’s ‘Terror Twilight’ but then slams home a bittersweet Wavves-esque boy/girl melody in the soaring chorus. Bratty ‘Lowtalkin’ lurches forward, sweat drenched and punchdrunk against a squealing driving darkness whilst ‘Tastes Like Medicine’ is a giddy head swirling fuzz pop rush. ‘Blue Eye’ offers a different perspective and a glimpse at what the future may hold. It drifts along in a sea of feedback bliss, recalling both My Bloody Valentine and The Jesus and Mary Chain. 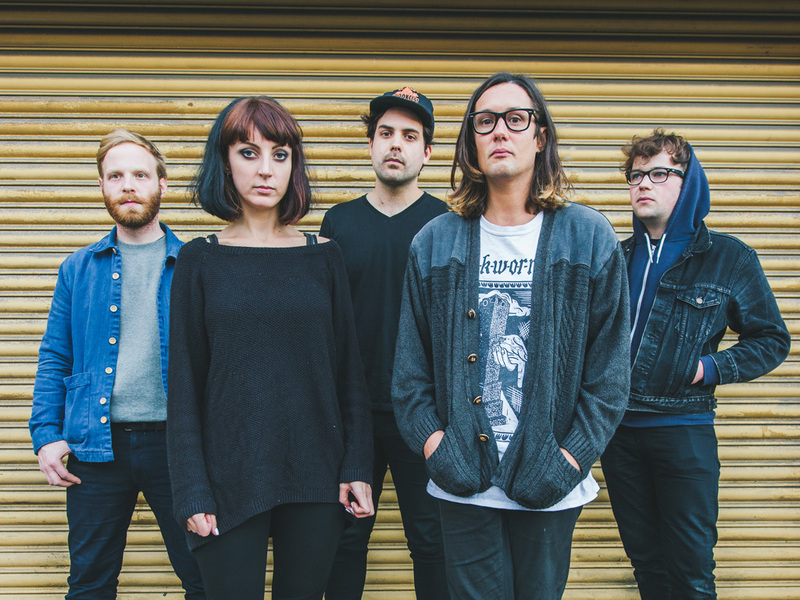 Menace Beach have taken the bull by the horns. 2015 is theirs for the taking.